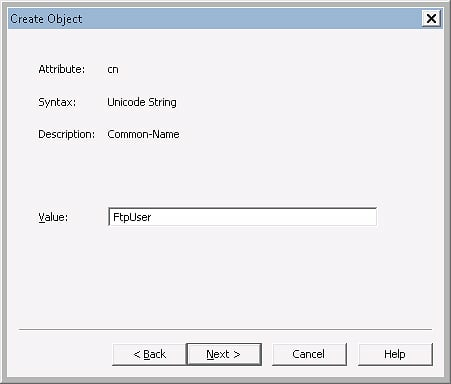 This blog is designed as a complement to my FTP and LDAP - Part 1: How to Use Managed Code (C#) to Create an FTP Authentication Provider that uses an LDAP Server blog post. 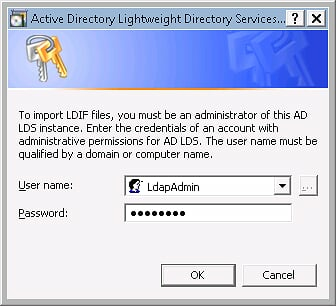 In this second blog, I'll walk you through the steps to set up an Active Directory Lightweight Directory Services (AD LDS) server, which you can use with the custom FTP LDAP Authentication provider that I discussed in my last blog. 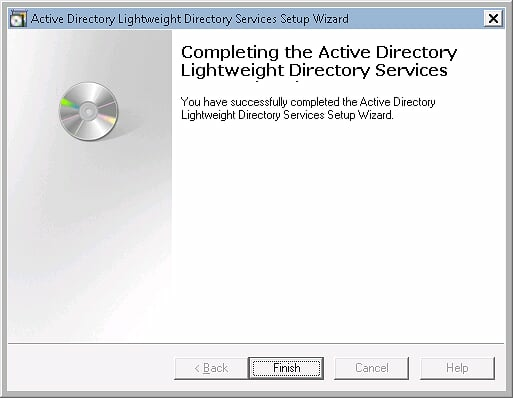 The following steps will walk you through installing Active Directory Lightweight Directory Services on a computer that is running Windows Server 2008. 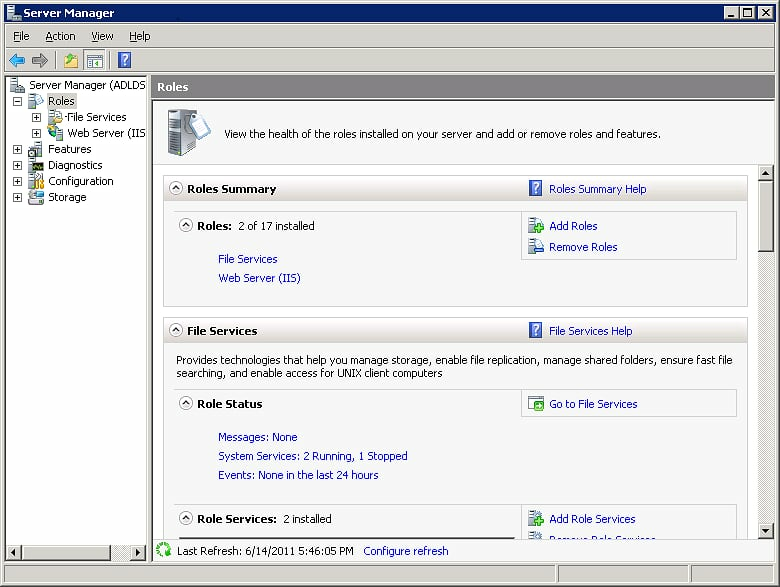 Open the Windows Server 2008 Server Manager, click Roles in the navigation pane, and then click Add Roles. 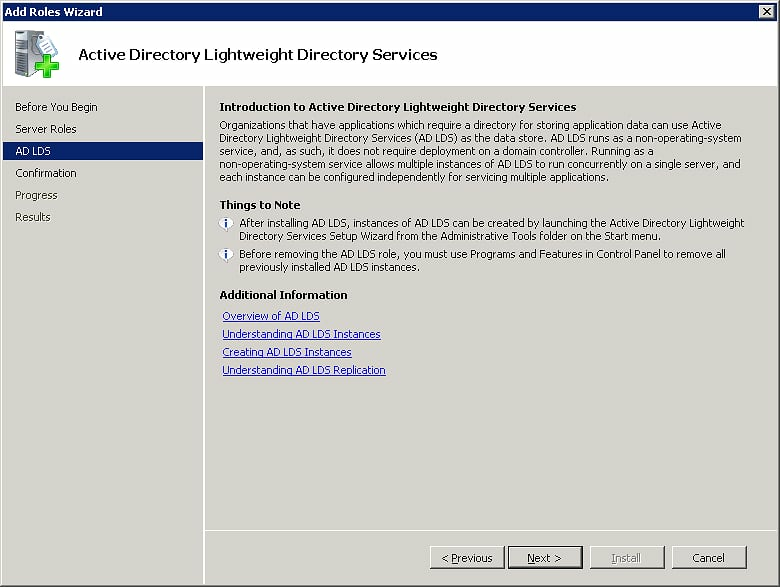 Check the box for Active Directory Lightweight Directory Services, and then click Next. 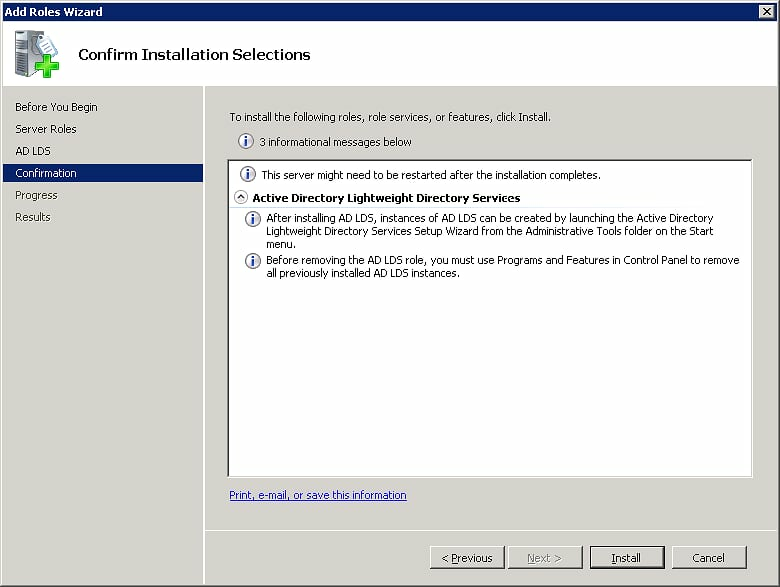 Read the information on the Introduction to Active Directory Lightweight Directory Services page, and then click Next. 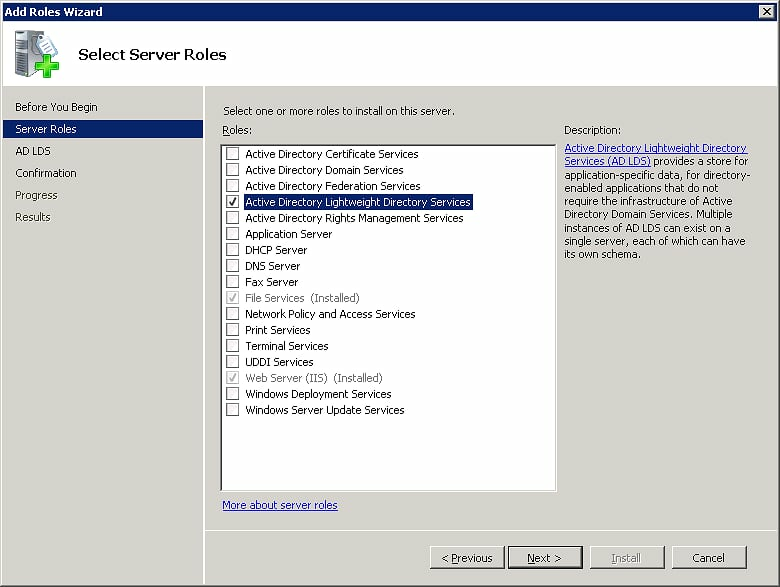 Verify the Confirmation Installation Settings, and then click Next. 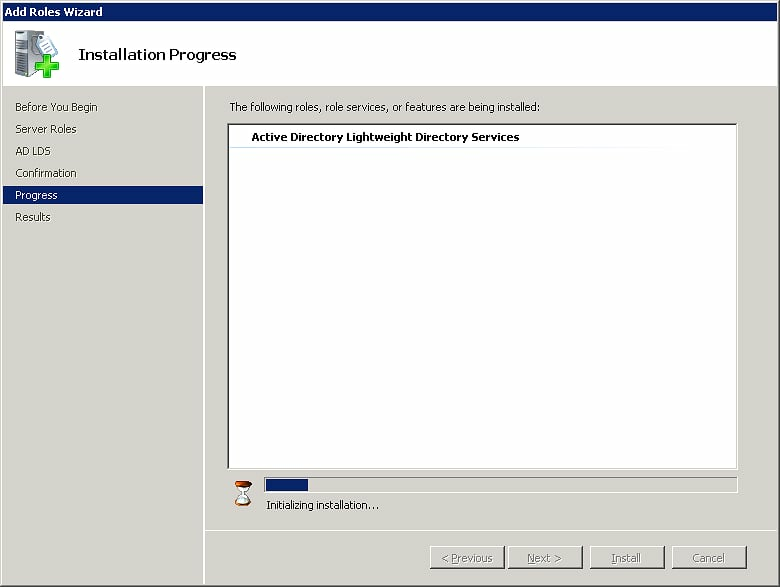 The installation will start; this may take several minutes to complete. 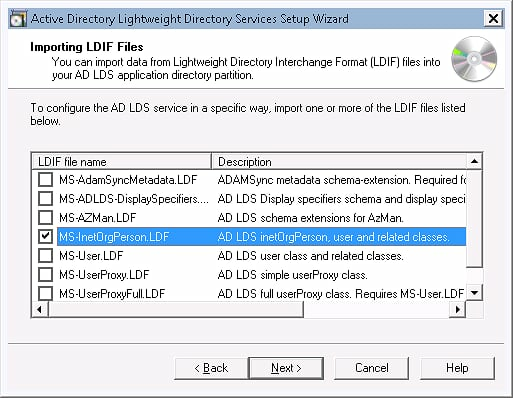 Note: Before completing these steps I created a local user account named "LdapAdmin" that I would specify the administrative account for managing my LDAP instance. This user account was only a member of the local "Users" group, and not a member of the local "Administrators" group. 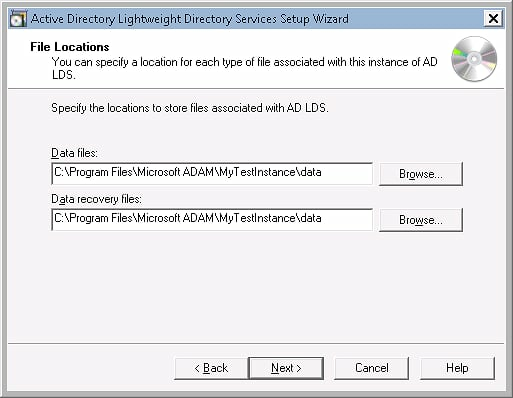 Click Start, then click Administrative Tools, and then click Active Directory Lightweight Directory Services Setup Wizard. 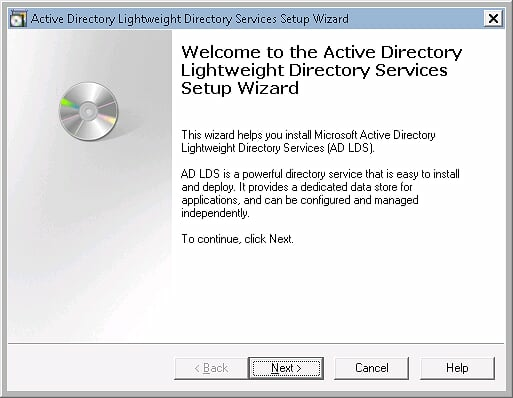 When the Active Directory Lightweight Directory Services Setup Wizard appears, click Next. 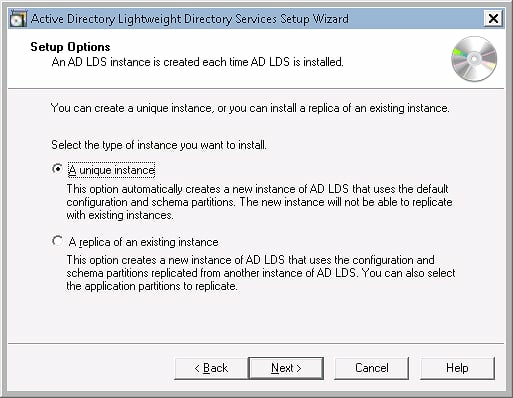 Select A unique instance, and then click Next. Enter a name for your instance, for example "MyTestInstance," and then click Next. 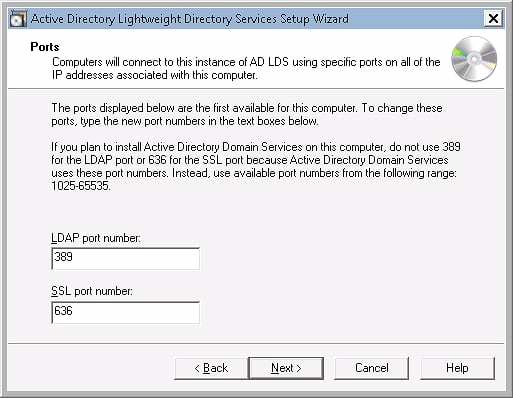 Verify the port numbers for LDAP connections, and then click Next. 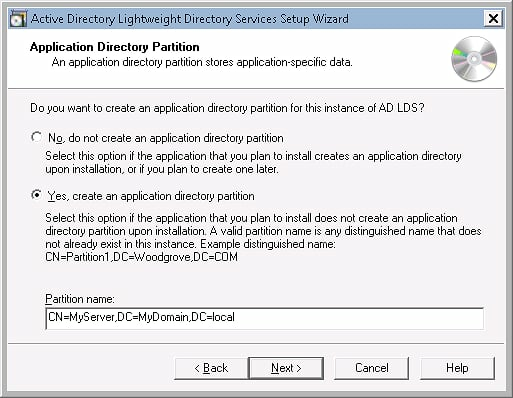 Choose Yes, create an application directory partition, and then enter a unique partition name by using X.500 path syntax. 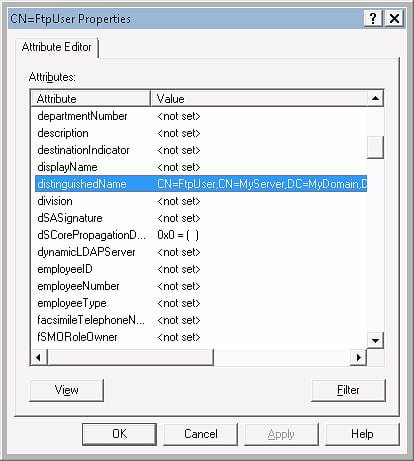 For example: "CN=MyServer,DC=MyDomain,DC=local". When you have finished entering your partition name, click Next. 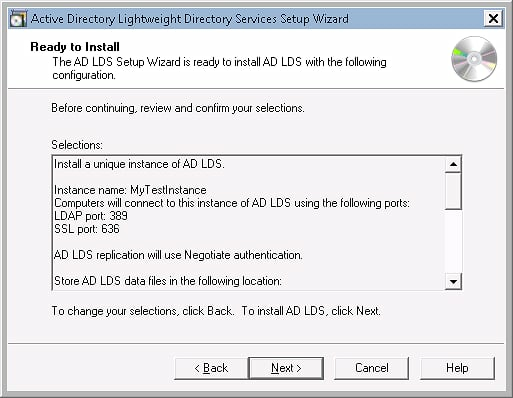 Verify the paths to the AD LDS files for this instance, and then click Next. Choose an account for your service account. 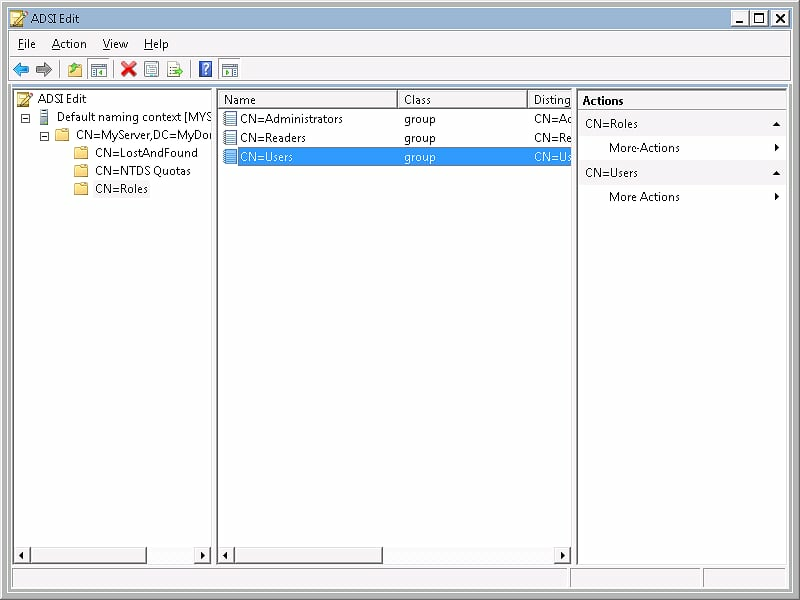 (Note: Because I was creating a standalone LDAP server, I chose to use the network service account.) Once you have chosen an account, click Next. 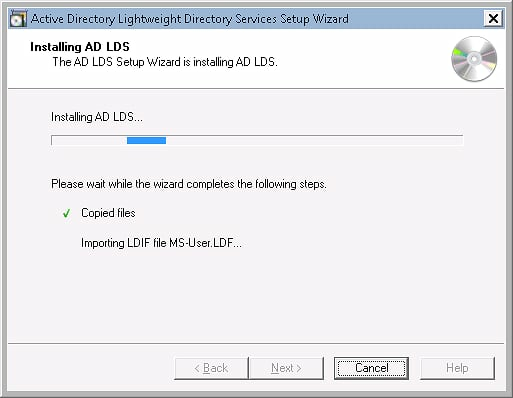 If you choose to use the network service account, the AD LDS wizard will prompt you about replication. Click Yes to continue. 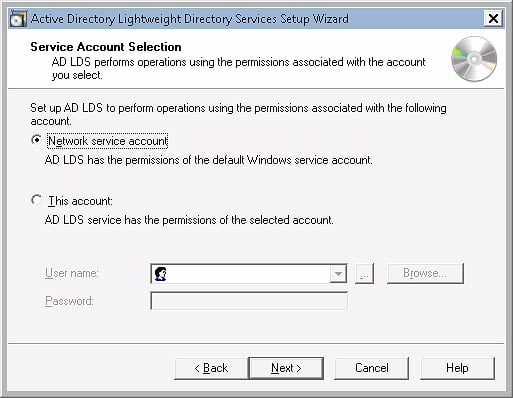 Choose an account as your AD LDS administrator. (Note: In my situation I chose the LdapAdmin account that I had created earlier; I did this so that I wouldn't be storing the credentials for an administrative account.) Once you have chosen an account, click Next. 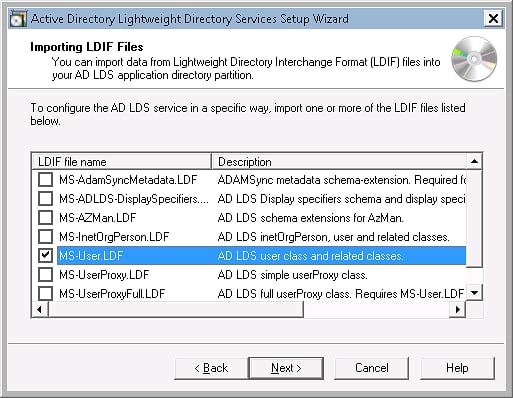 Choose one of the following LDIF files to import; these will be used to create user accounts. Note: I tested my FTP LDAP authentication provider with both LDIF files. 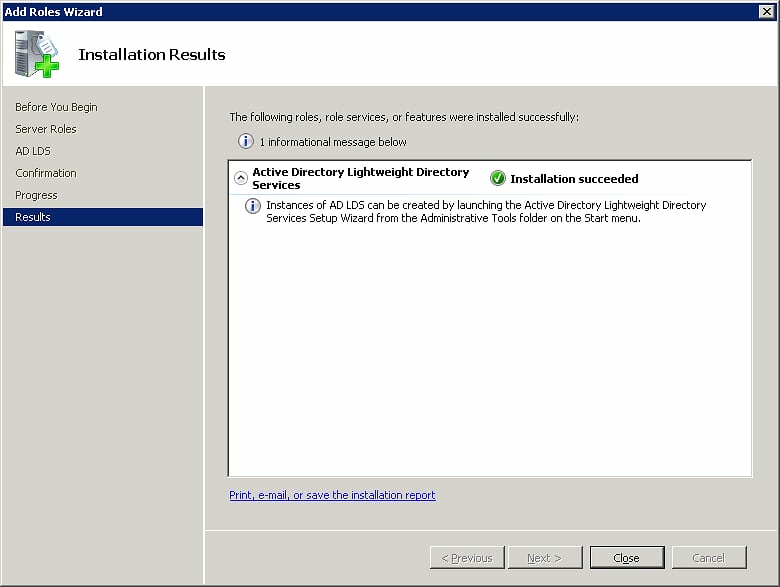 Verify your installation options, and then click Next. 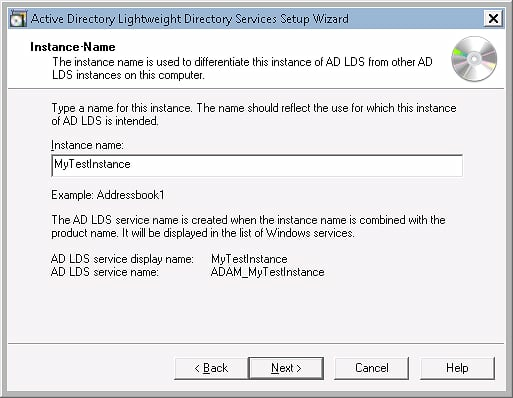 When prompted for your AD LDS credentials, enter the credentials for the account that you chose to administer your AD LDS instance. The wizard will begin to install the requisite files and create your instance; this may take several minutes to complete. 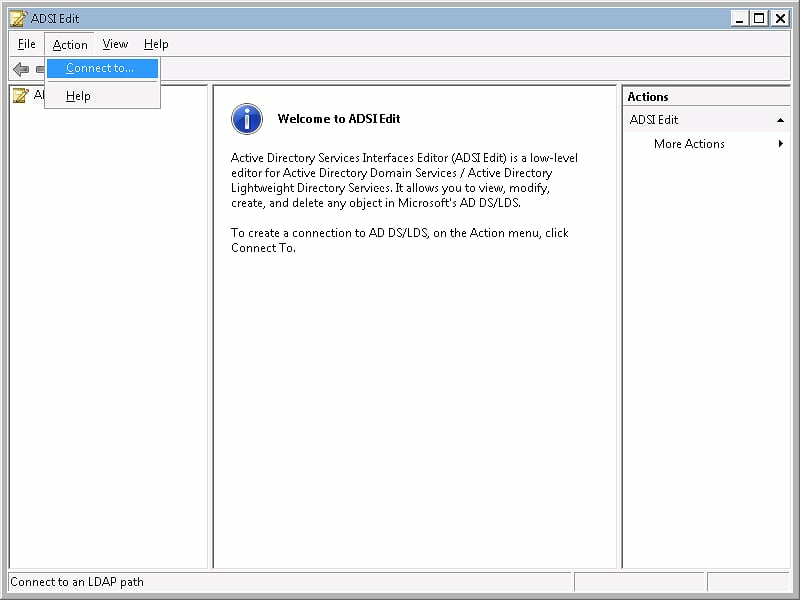 Click Start, and then Administrative Tools, and then ADSI Edit. Check the Specify Credentials box. 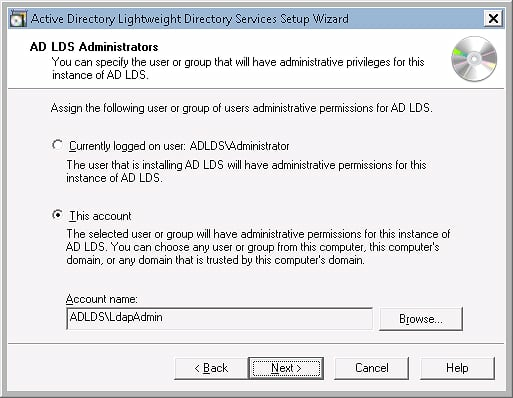 Enter the user name and password for your AD LDS server. Highlight the appropriate user class, and then click Next. Enter the common name for your user, and then click Next. For example: enter FtpUser for the common name. 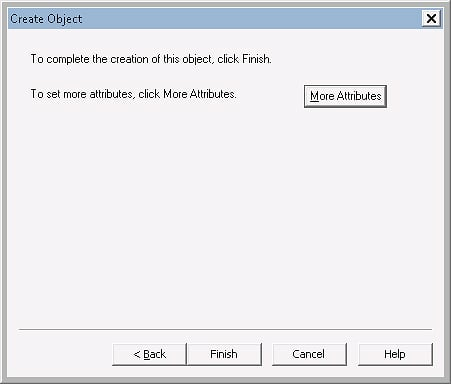 Right-click the user that you created, and then click Properties. 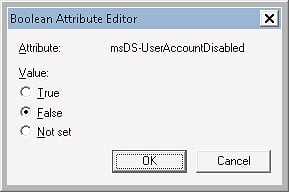 Select msDS-UserAccountDisabled in the list of attributes, and then click Edit. Select False, and then click OK. 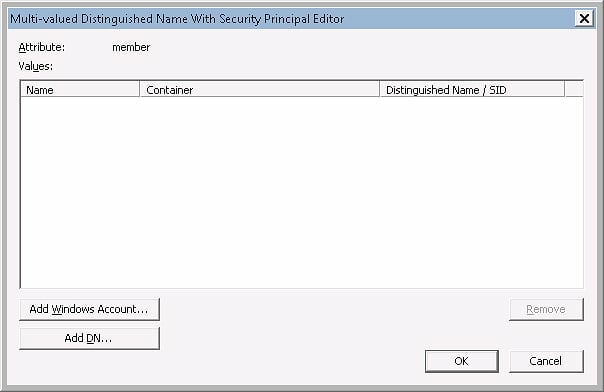 Select userPrincipalName in the list of attributes, and then click Edit. Enter your user's common name for the value, and then click OK. For example: enter FtpUser for the common name. 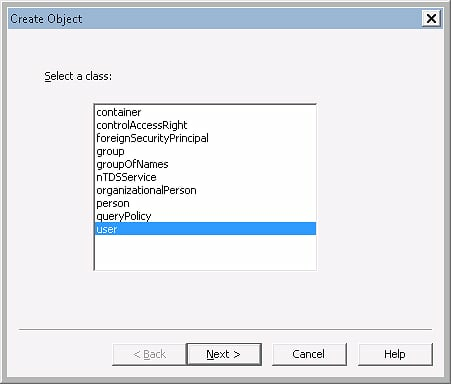 Click OK to close the user properties dialog box. Enter and confirm the password for your user. 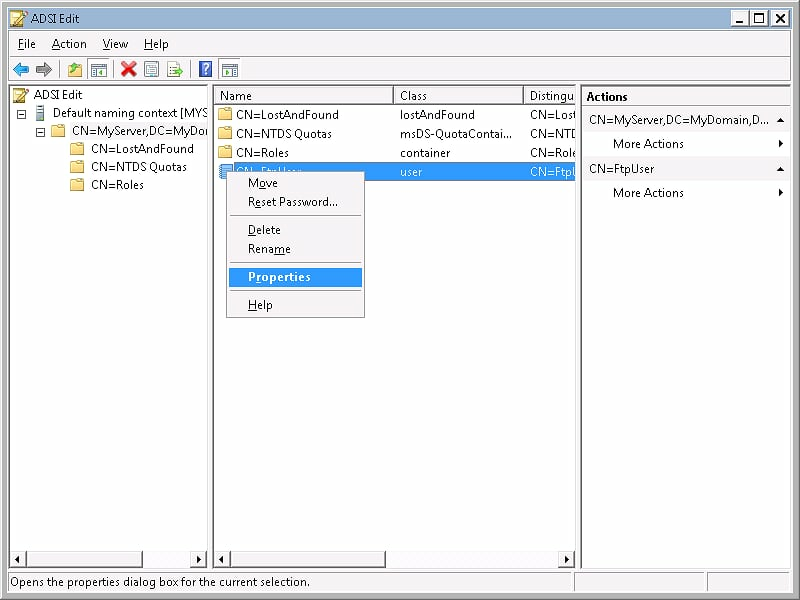 Select distinguishedName in the list of attributes, and then click View. 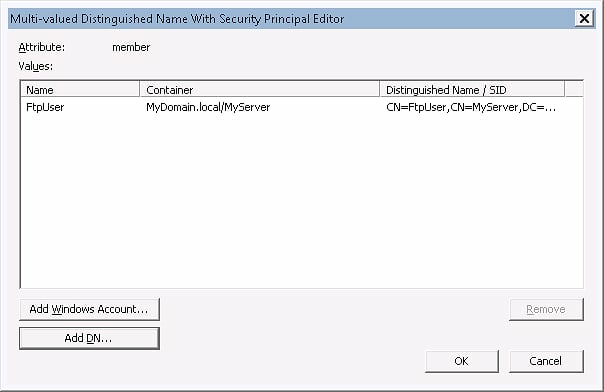 Copy the value, and then click OK. For example: CN=FtpUser,CN=MyServer,DC=MyDomain,DC=local. 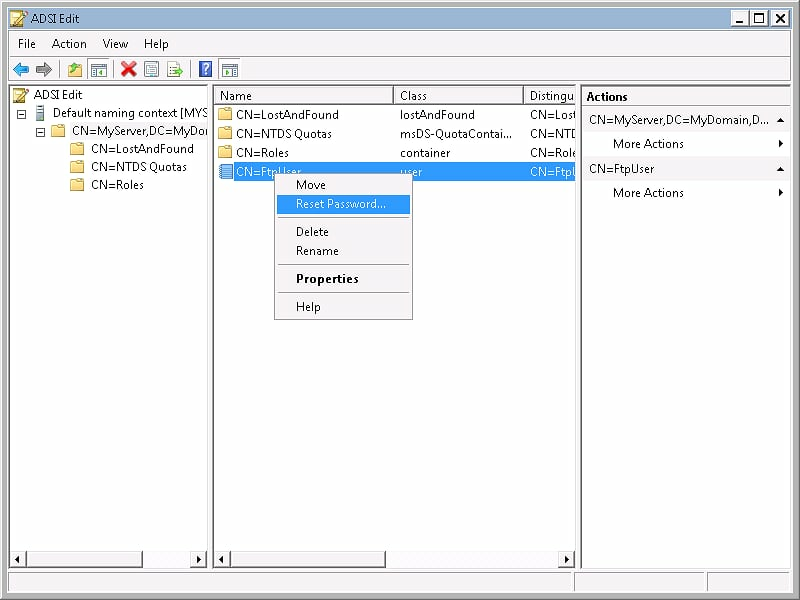 Click OK to close the user's properties dialog box. 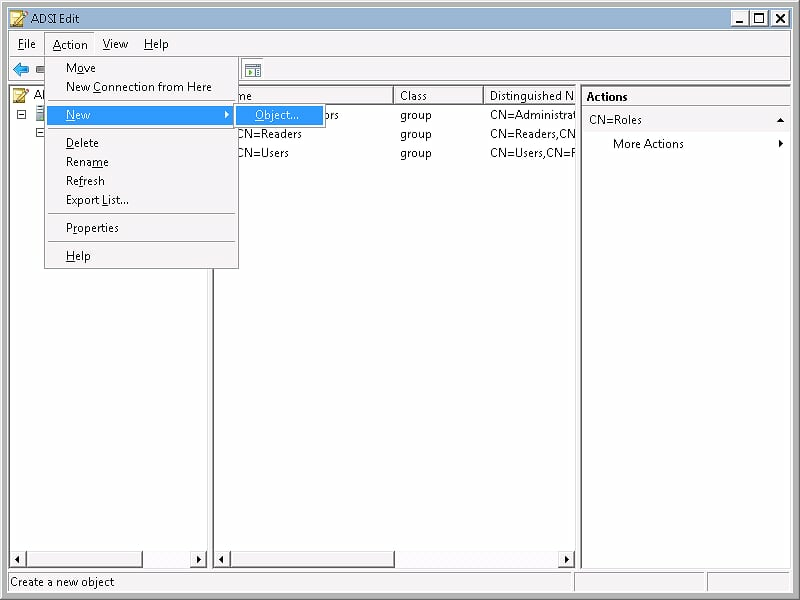 Expand the tree until you have highlighted a group in your server. 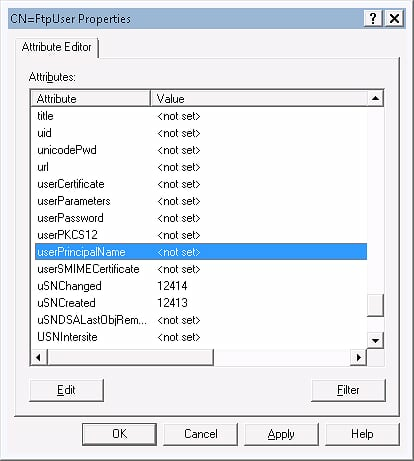 For example, you could use the built-in CN-Users group. Right-click the group, and then click Properties. 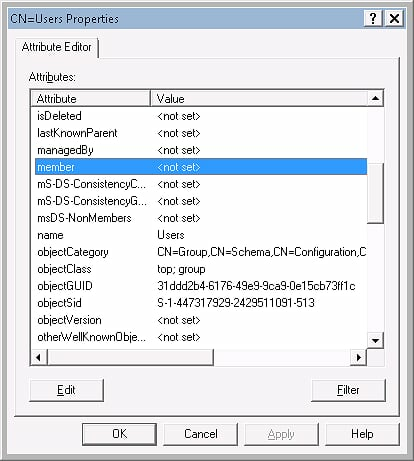 Select member in the list of attributes, and then click Edit. 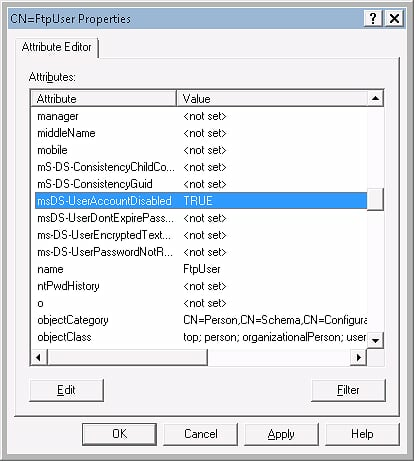 When the Add Distinguished Name (DN) dialog box appears, paste the user DN syntax that you copied earlier. 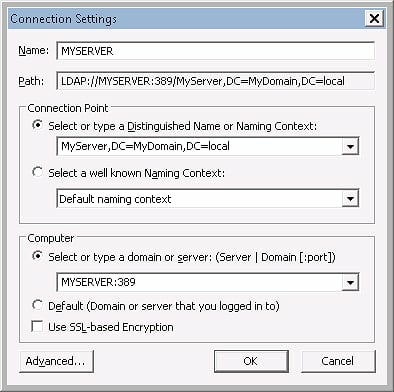 For example: CN=FtpUser,CN=MyServer,DC=MyDomain,DC=local. 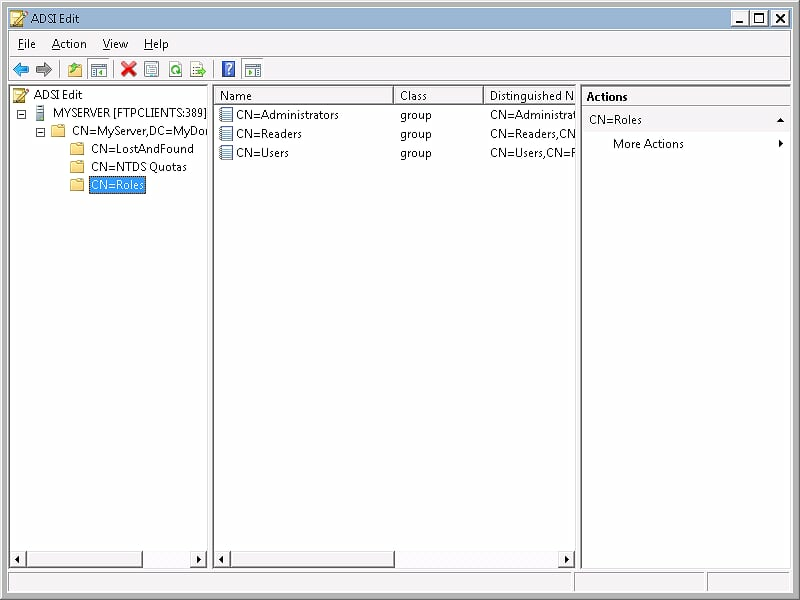 Click OK to close the Add DN dialog box. 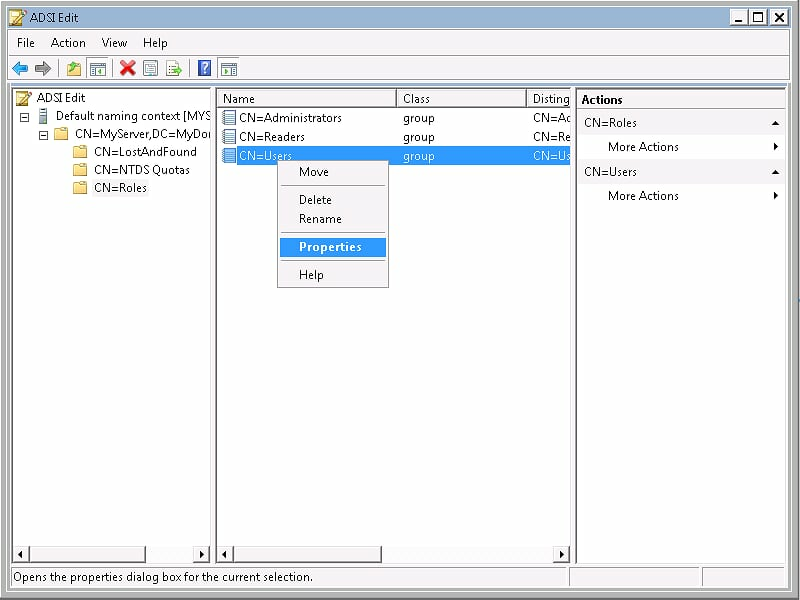 Click OK to close the group's properties dialog box. 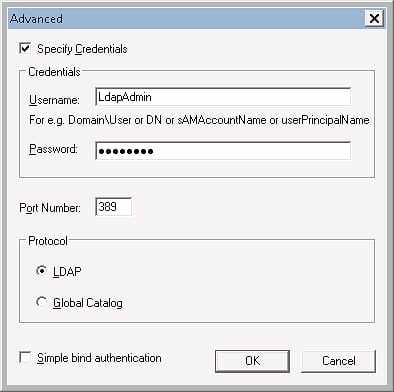 While this is technically outside the scope of setting up the LDAP server, I'm reposting the notes from my last blog about adding the FTP LDAP Authentication provider and adding authorization rules for FTP users or groups. 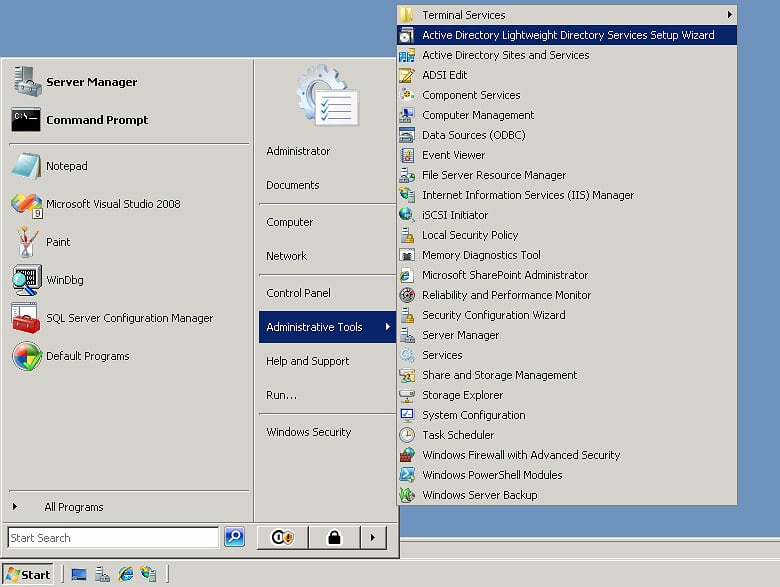 Once these settings are configured and users connect to your FTP site, the FTP service will attempt to authenticate users from your LDAP server by using the custom FTP LDAP Authentication provider.